The hospital, designed by Herzog & de Meuron and Vilhelm Lauritzen Architects, is an ambitious green field project in the outskirts of Hillerød, a small residential village of 50,000 inhabitants, located 35km north of Copenhagen. It has 112,500sqm of GFA with 570 patients rooms and 24 medical departments. 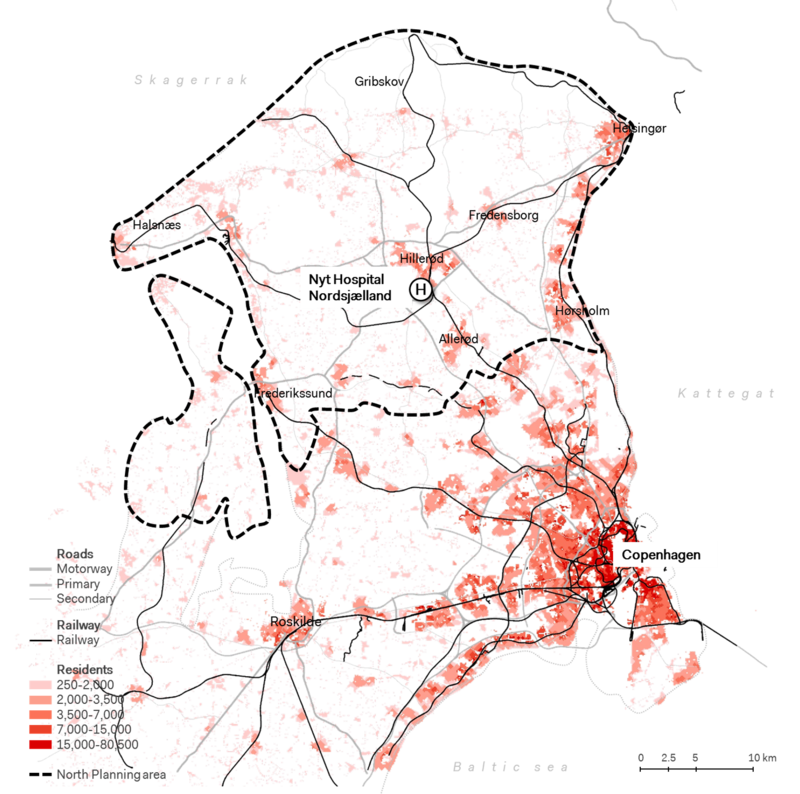 The hospital will become the acute hospital for the area’s 310,000 citizens who are currently distributed to three hospitals in Hillerød, Helsingør and Frederikssund. It will be a workplace for 4,000 employees . About 500,000 outpatient treatments per year are expected. Systematica is appointed by Herzog & de Meuron to provide an integrated and comprehensive parking traffic engineering and design study. The main aim of the study is to carry out a detailed parking demand estimation in order to investigate and propose the possible reductions to the projects parking provision of 2,400 parking places. 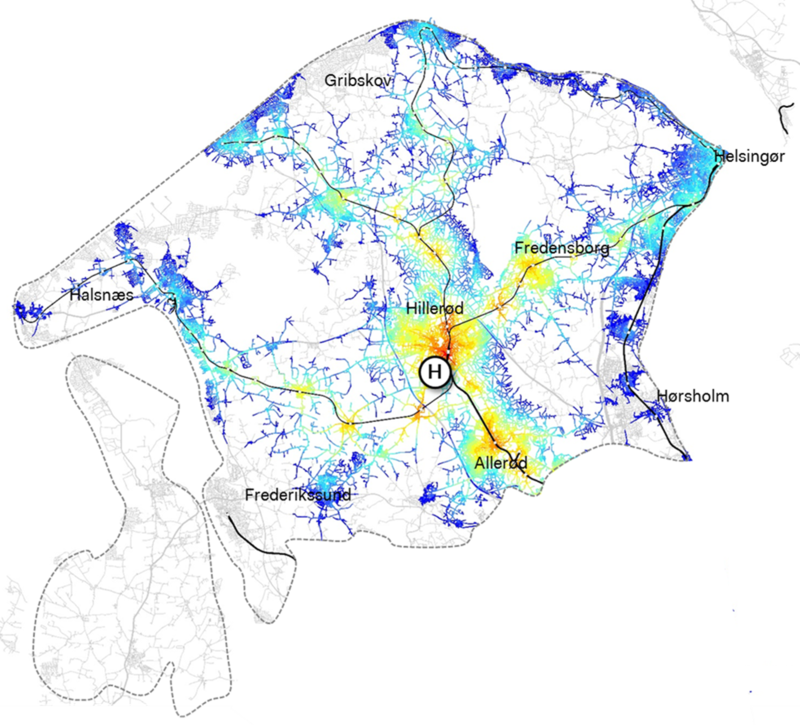 The study consist in wide area accessibility analysis focusing on the hospital’s catchment area, analyzing mobility dynamics, by reviewing all available mobility plans and travel surveys for constructing a solid database of assumptions on current mobility habits and future trends (car occupancy, traffic profiles, etc. 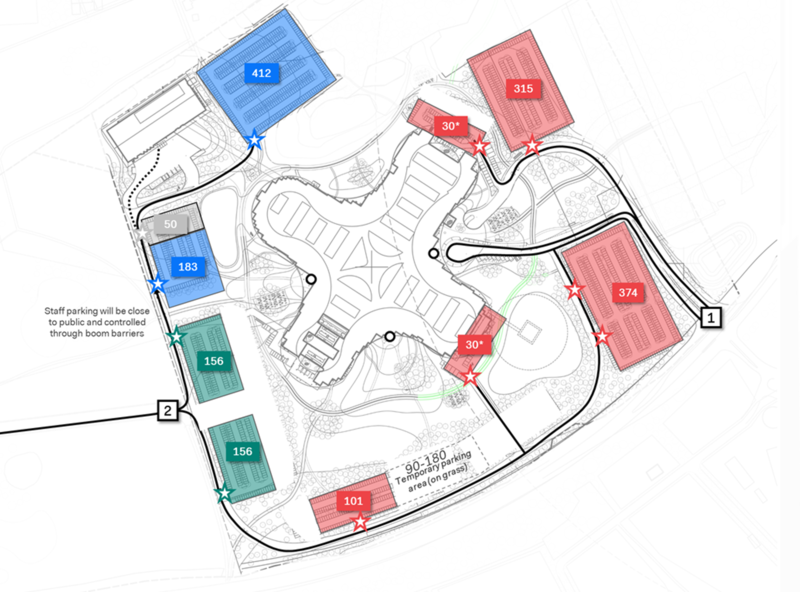 ), parking demand estimation each user group identified of patients, visitors and staff, providing shared parking strategies to reduce nearly 590 parking places. The study concludes with parking layout modification and optimization that aims at smarter use and distribution of parking areas. A series of policies for visitors and employees are proposed to encourage the use of alternative transport modes and reduce the use of cars and parking areas. Policies for visitors and employees are proposed to encourage the use of alternative transport modes and reduce the use of cars and parking areas.